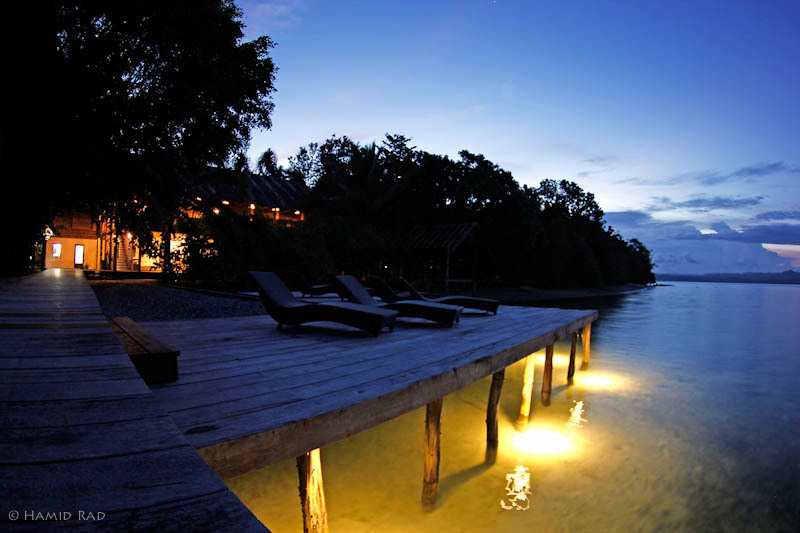 Sorido Bay Resort was built in 2004 on remote Kri Island in Raja Ampat, one of the most spectacular diving regions in Indonesia's Far East, about 2 hours by boat from Sorong airport in West Papua, the former Irian Jaya. Sorido Bay's picture perfect setting on a deep water lagoon combines luxury Western amenities with relaxed Papuan lifestyle. 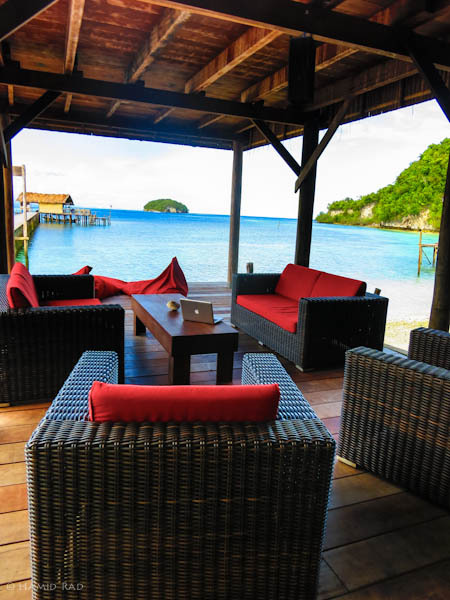 Sorido Bay Resort is operated by one of the pioneers of Raja Ampat diving, Max Ammer and his team. They also run Kri Eco Resort which offers divers on a tighter budget a more rustic place to stay on the other side of Kri Island. 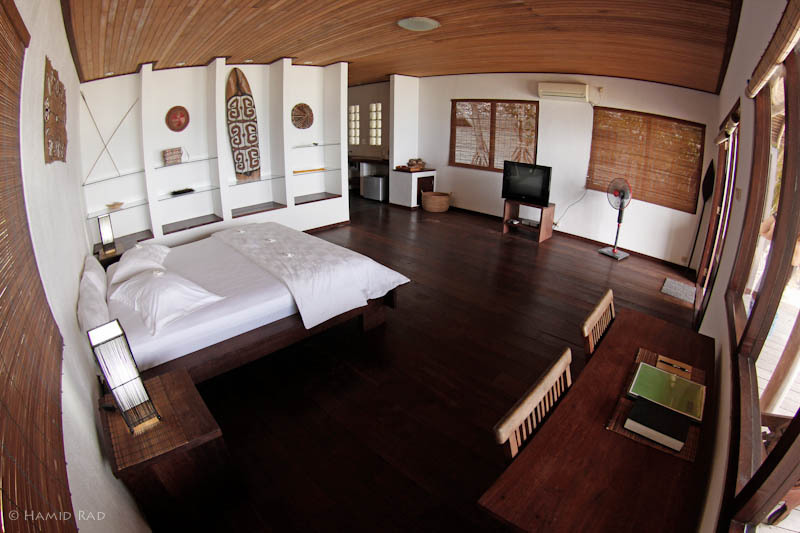 Sorido Bay Resort has been built for divers with the needs of photographers in mind. There are 7 beachfront bungalows with fantastic view over the lagoon. Each bungalow has ensuite facilities and a private courtyard. 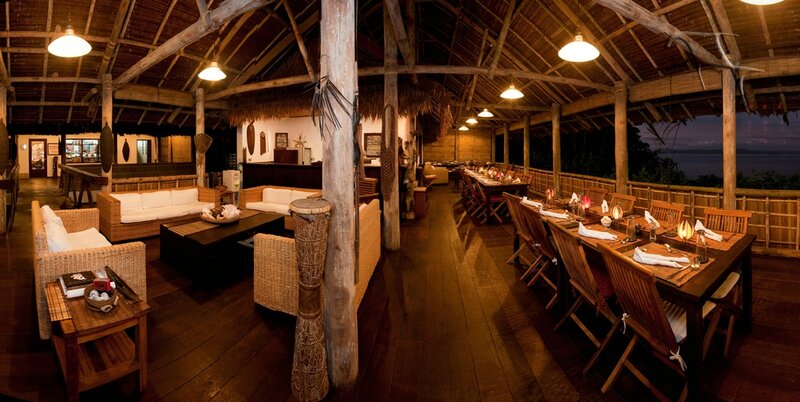 All interiors are decorated in Papuan style using museum quality artefacts and offer the following luxurious amenities: Air-conditioning, hot showers, television, fridge and a special area for photographers - a spacious table especially set up for camera work with good lighting and 110V & 220V build-in electricity outlets. These camera tables also have built-in sinks and running water. There are two main buildings completing the resort set up. There is a spacious dining area with splendid views over the bay. The other building consists of lobby, office, kitchen, library, internet lounge, souvenir shop and storage rooms. A sundeck and wet lounge is to be found along the jetty for those who just can't get enough of the views. Sorido Bay Resort is surrounded by the most spectacular house reef. More than 283 different species of fish have been recorded during one dive on their house reef, Cape Kri. This made this not only the fish richest dive site known to science, but also the richest house reef anywhere in the world! Unlimited dive packages at Sorido Bay included scheduled boat dives and unguided house reef dives between 7am and 9pm daily. The resort is so confident about their common manta encounters that divers who do not see any manta rays in one week do not have to pay their bar bill. Raja Ampat's remote location and lack of infrastructure have inhibited the growth of tourism. This area's staggering abundance of marine life is due in part to its incredibly low human population density. The few resident Papuans are mainly a subsistence society, exploiting a variety of resources to meet their basic needs. Fishing is only one of these resources, and they continue to employ traditional, low-impact fishing techniques, using a hook and line from dug-out canoes.For morei information on the diving, look in the menu to the left. Sorido Bay Resort offers free boat transfers between Sorong and Kri Island every Sunday, and to avoid very high transfer fees it is best to arrange stays of 7 nights minimum arriving on Sundays. There is also the possibility of returning to Sorong on Wednesdays if divers would like to stay for 10 nights. 10 night packages can also be arranged from Thursday to Sunday, however, a night must then be spent in Sorong because the boat departure to Kri Island on Thursdays is very early in the morning. For a 10 night stay, the best option is from Sunday to Wednesday as no extra nights in Sorong are required and only 1 Saturday is spent without boat diving. Wi-Fi internet access is only available at Sorido Bay Resort. Although it can be intermittent, both resorts have mobile signal. 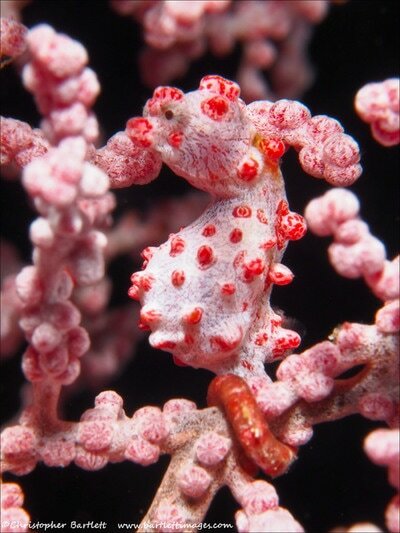 During a seven-night stay it is possible to do 24 dives and during a 10-night stay I did 35 dives. Prices quoted per person and based on double occupancy. Reduced rates available for children, for the full rates list, click here.